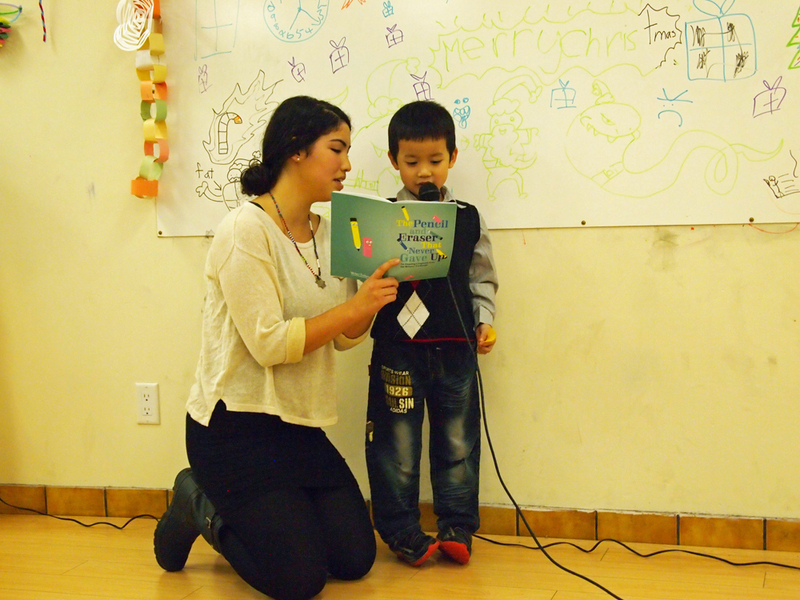 We offer fun literacy programs for kids in Vancouver and volunteer opportunities for literacy lovers who want to see kids thrive. We are honoured to be able to provide safe, fun and welcoming programs for kids and their families on the unceded and traditional territories of the xʷməθkʷəy̓əm (Musqueam), sḵwx̱wú7mesh (Squamish), and sel̓íl̓witulh (Tsleil-Waututh) Nations. As uninvited guests on this land we are grateful to be able to enjoy this beautiful place and we are committed to building relationships and learning about ongoing traditional ways of life from our Indigenous friends. Join our network of amazing volunteer mentors. You don’t need to be a writer, just someone who is committed to helping kids get excited about reading and writing. Most programs run during out-of-school hours when inner-city kids need extra support to boost their reading and writing skills. All programs are free for the kids and families that access Writers' Exchange. This is only possible because of generous donors who are passionate about literacy. Hear directly from the kids why the Writers' Exchange is the best! This tour of the Writers' Exchange is brought to you by high-fives and awesome inner-city kids.